Below find some of our most popular webinar learning courses, available to you, anytime you want to learn! Included is a transcript and, where applicable, links to videos and other learning tools. Not finding what you need? Check out our Accessibility Training/Events. Want to know more about us? 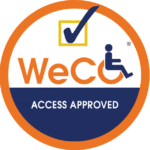 Learn more about WeCo’s unique mission to employ digital professionals living with disabilities as experts to help you become accessible. 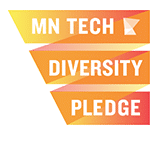 If you’re new to website, software or mobile application accessibility, this is a great place to start. This FREE 90 minute class provides a backdrop of the legal requirements for accessibility. We also explain how people living with cognitive, hearing, mobility and sight-related disabilities interact with computers, websites and software. Some with devices, some without. Great for all staff levels, from coders to leaders. Learn more about selecting a quality accessibility service in our blog. 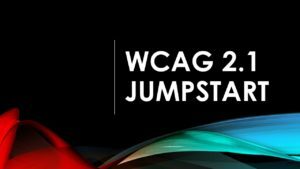 WCAG* 2.1, the latest version of the Web Content Accessibility Guidelines, was released in June. Wondering how they differ from version 2.0? Or how they impact real users living with disabilities? 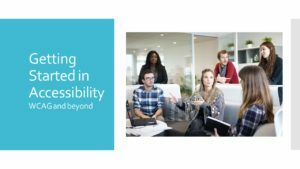 In this free webinar, our Accessibility Specialists who live with disabilities, will get you up to speed on the latest iteration of accessibility guidance. Great for coders, developers, content managers, or anyone who wants to get a handle on the new 2.1. Learn more about WCAG 2.1 in our blog article. 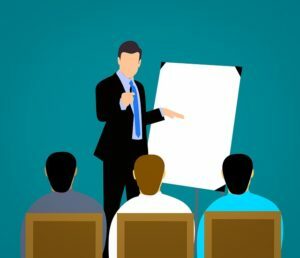 Do you understand the need for accessibility, but aren’t sure how to present it to your organization’s leadership and/or decision makers? The information on this page can help you make a business case for accessibility. We have provided a number of great resources you can copy, paste and link into presentations, onto website and more.